Our favourite exhibition last year was Theo Jansen’s Strandbeests at the Peabody in Salem. It was so good we went twice. We brought Barbara (above, walking a Beest) and Ed, and two other friends with us for the second visit. Fun, playful, intricate, fascinating, poignant – I could fling adjectives at it. We were let play with two little Beests, take them for short walks. A larger Beest was set in motion for us and the crowd gasped as if a baby elephant had trotted into the room. The Beests in motion really are like living creatures. They are quirky and beautiful and complex, and the thinking behind them is too. Click and scroll for larger images. This link brings you to Theo Jansen’s website and a beautiful video of various evolutions of his creatures, in motion. 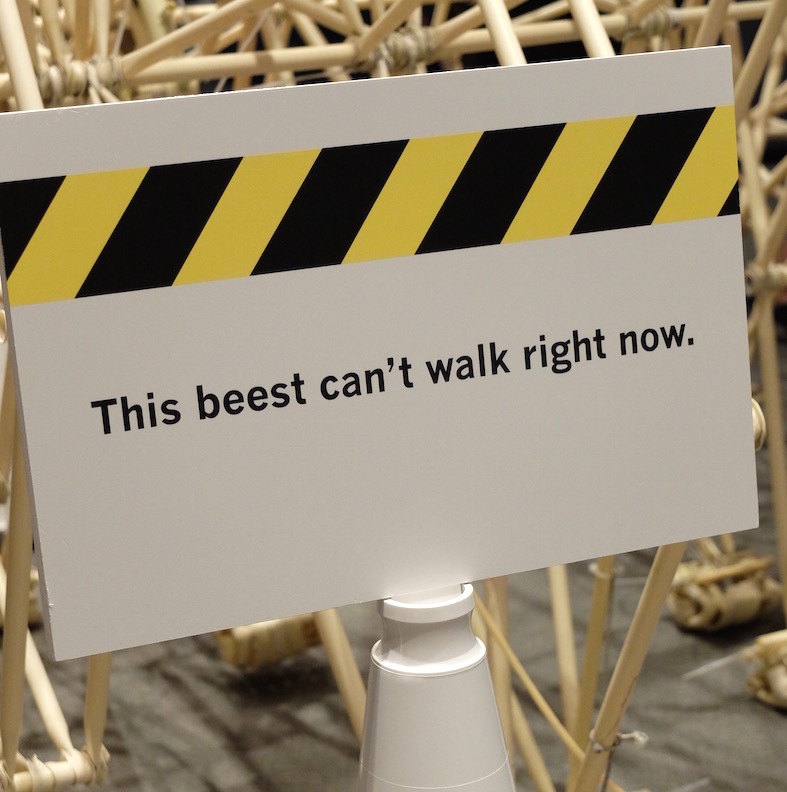 This entry was posted in Marie-Louise Fitzpatrick, Michael Emberley and tagged Peabody Museum, Salem, Strandbeest, Theo Jansen by The Belugas are Watching. Bookmark the permalink.